Indonesian dishes gained popularity in Vancouver, Canada, during the Kuliner Lunch Series held at The Holy Crab restaurant. It was the first Indonesian culinary event organized by the Indonesian Consulate General in Vancouver on Saturday. During the event, gado-gado (vegetable salad with peanut sauce) and soto Betawi (coconut milk soup with diced beef and rice noodles) were highlights of the event. Aiming for 80 visitors, the event welcomed 130 people as reported by Antara. Consul General Tuti Irman stated that she appreciated the visitors' enthusiasm for the event, while hoping that it would increase collaboration between the two countries in the cultural, tourism, trade and investment sectors. For the event, the consulate general collaborated with Indonesian diaspora such as Henri William, owner of The Holy Crab; Liza Wajong of Nusa Coffee; Matthew Riyanto of Indonesian community Permai BC; Richard Chen of natural foods maker Tempea; along with chefs Djaka Putra and Lulu of private dining service Refection Dining. Attendees at the event included locals, representatives from the Canadian government, travel writers, tour operators, as well as several media such as food blog Vanfoodies, Georgia Straight newspaper and CBC Radio. 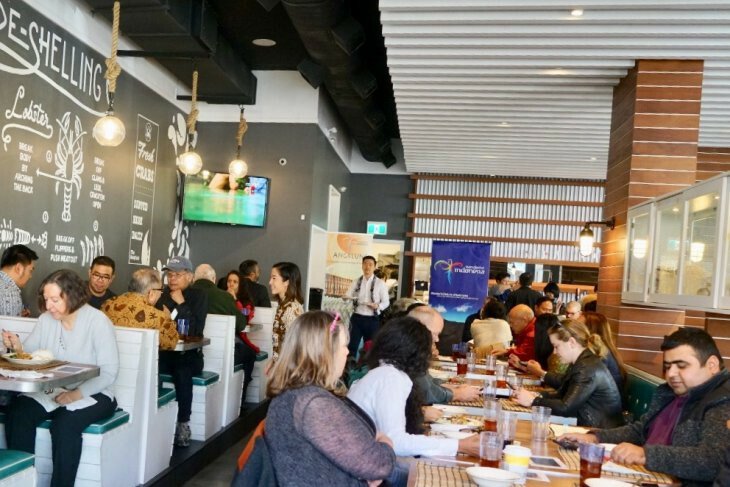 The Kuliner Lunch Series program will be held throughout 2019 to give more Canadians the chance to taste Indonesian dishes.